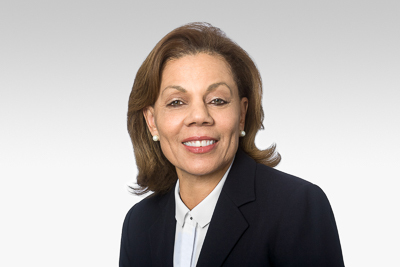 Lydia Kennard currently serves as the President and CEO of KDG Construction Consulting. Founded in 1980, KDG provides program and construction management services to public and institutional clients throughout the Western United States. Since 2007, Ms. Kennard has also served as a founding principal of Airport Property Ventures, an operator and developer of general aviation facilities. A Southern California native, Ms. Kennard’s professional career has spanned corporate law, real estate development and urban planning. Most notably, Ms. Kennard served as the Executive Director of Los Angeles World Airports (LAWA) from 1999 through 2003 and again from 2005 to early 2007. During her tenure with LAWA, Ms. Kennard oversaw and managed the country’s second largest airport system, which included four airports, a staff of more than 3,000 employees, and an annual budget of nearly $1 billion. Over her career, Ms. Kennard has served as a director and trustee for several publicly traded companies and nonprofit organizations. She is currently a director for Prologis, an industrial REIT, and Freeport McMoRan, a natural resources company. She also serves as a trustee for the University of Southern California and a director of the UniHealth Foundation. Ms. Kennard is a former trustee of the RAND Corporation, a nonprofit policy research institute (2007-2012) and a member of the California Air Resources Board (2004-2011). Ms. Kennard has a Juris Doctorate from Harvard Law School, a master’s degree in City Planning from Massachusetts Institute of Technology (MIT) and a bachelor’s degree in Urban Planning and Management from Stanford University.